Birger was originally founded as an engineering consultancy, specializing in the implementation of vision and compression algorithms. Birger has since evolved into a manufacturer of products of its own design. Birger lens control systems enable the remote and automated control of low cost consumer and professional camera lenses, and are utilized in the machine vision, broadcast, security, surveillance and entertainment markets. All design and manufacturing of these products is carried out by Birger, in its Boston headquarters. Please join us for a brief tour through Birger's history. 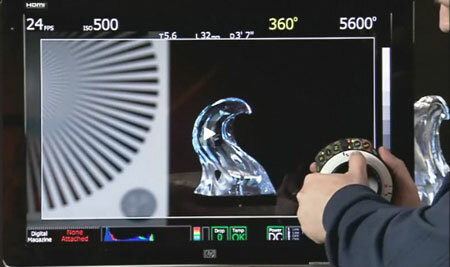 Motion control system for Canon EF-mount lenses. Allows for remote and automated control of Canon (and third party) EF-mount lenses. Compatible with hundreds of lenses. Allows for accurate and repeatable, remote and automated control of aperture and focus. Highly accurate and repeatable control. Servo focus with 60 position updates per second. Supported by many major machine vision camera OEMs. For more information see our "products" page. While this version for the RED One camera, is now discontinued and sold out, we do support this level of capability with our OEM Canon EF adapter. 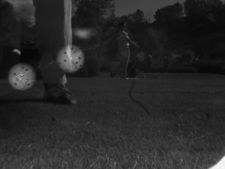 Typical golf ball trajectory analysis systems take double exposures of a golf ball immediately after the time of impact, using an extremely bright strobe light to both freeze the motion and overcome the ambient light in the scene. The picture shown has extremely low contrast between the golf balls and the background, due to the sunlight bleeding through the images of the balls, and the light colored pants worn by the golfer. The top image is the original double exposure. The bottom image represents graphically the results of the analysis. The green color plane shows the original image with its meaningful range of brightness expanded. The blue plane has the recovered balls plotted as perfect circles back into the image for verification. From a single camera view, this software application recovers both the X, Y & Z displacements and the rotations in three axes of the second ball image relative to the first. From this information, the geometry of the optics and the delay between the images, all initial parameters of the golf ball flight can be readily known. The sample image you are looking at took about 500mS to process on a 1GHz Pentium 3 laptop. The software was written in C and has no processor specific optimizations. This work was done for a major golf club manufacturer. Implementation of Woodfill's Census algorithm in Xilinx Virtex2pro FPGA operating at 88 frames per second at 320x240 resolution (slowest speed grade). 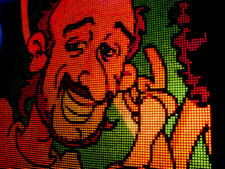 Source image pairs at 640x480 pixels, downsampled and dewarped to 320x240. Disparity search window 32 pixels wide, 7x7 pixel summed hamming distance windows. Design fits in XC2VP20 with plenty of room to spare for a DDR SDRAM controller, JPEG compression engine, nine camera frame grabber and PCI to PLB/OPB bridges. Stereo requires 2869 LUTS and 23 BRAMS and no external memory. This implementation of dewarp used 2 PowerPCs, that would have otherwise gone unused, and 6 BRAMS. The cores have PLB bus interfaces to talk to a common DDR SDRAM bank containing the frame buffers. 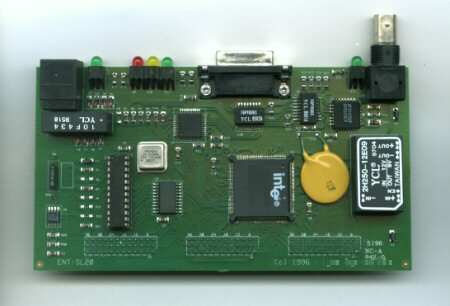 The larger FPGA was developed using the Xilinx Embedded Development Kit (EDK 3.2). This core was used by a robot for obstacle avoidance and object tracking. This core calculates 215 million disparities per second - which was "fast enough" for the application. The architecture can be scaled cost effectively from one quarter to ten times the performance. This work was done for NASA, for a robot that had been destined to fly in the International Space Station. Birger Engineering developed the video processor and LED driver board for this display system. The video processor has a 30bit analog video input, and a video processing engine that provides for 36bit output. The system supports up to a resolution of 512 x 384 pixels. The prototype display is 4M x 5M. This work was done for a customer in Brazil. The work was also featured in the Xilinx magazine. Based on the Xilinx 64bit/66MHz PCI Logicore, implemented in a Virtex2-6000. Multiport SDRAM controller, PCI to OPB bridge, PCI to SDRAM bridge, MicroBlaze, PCI64/66 master/slave 32/64bit capable. Chipscope and uBlaze JTAG UART sharing the same JTAG port. 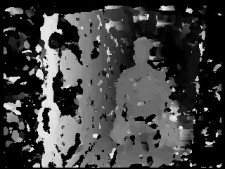 A PAPA camera uses a series of Gray coded masks oriented in both a horizontal and vertical plane to be able to resolve the exact location any single photon enters the system, so long as that photon does not enter the system at the exact same time as another. These cameras can be employed with scintilation screens to image Gamma and Neutron events as well. With 21 masks and photo-multiplier tubes, a the locations of these singular events can be located in real time on a 2048 x 2048 grid. The electronics are capable of processing of 21 photomultiplier tubes at a rate of up to 65MHz in a Xilinx XC2S100 FPGA. The 21 analog channels needed to have individual gain control, as a typical batch of PMT tubes will have a gain variation of 10:1 across each of the tubes. The gain for each of the channels is individual settable via 10 bit digital control. Any four channels can be viewed at a 10 bit resolution simultaneously for calibration purposes. During normal operation twenty 1 bit and three 10 bit signals are being processed to determine both the location and the "legitimacy" af any event. 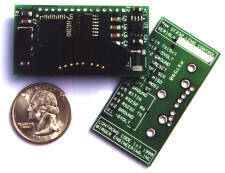 The design is a single six layer PCB measuring 140mm square, with two sided component placement. 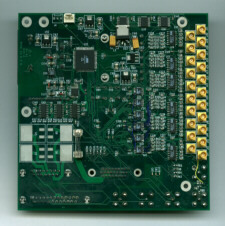 The same board simultaneously generates up to 4000V to power the photomultiplers, controls 150W thermoelectric cooler (PID and PWM in FPGA) and measures pico-amperes across 22 analog channels. 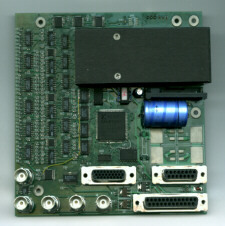 Customer had existing three VME-card set employing six FPGAs used as the image processor in a Re-implemented Customer FPGA design to increase performance of template matching algorithm by a factor of four without requiring changes to the physical hardware, or speed grade of FPGA employed. Plug in card for a linescan camera used for photo timing sporting events. Incorporates Intel i960 Bus Interface. Autoselects 10baseT, 10base2, and AUI. This is the first project completed after our founding in 1996. At the time we were known as "23rd Hour Engineering".